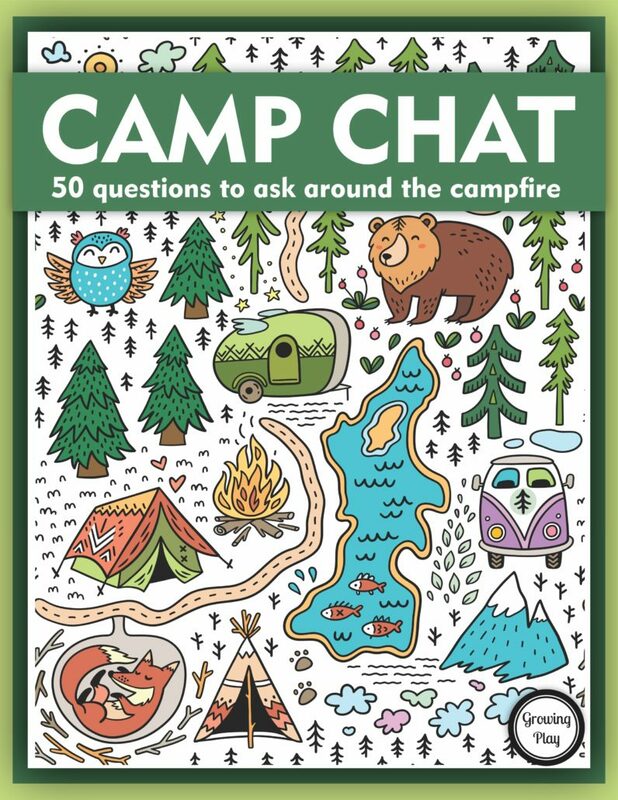 Are you starting to get excited about going camping? The weather is slowly getting warmer here so the time is coming to head to the great outdoors for some family camping fun. Our first outing will be Memorial Day weekend and we all can’t wait. It is always nice to unplug and experience quality family time together. The little guy in our house is now 4 years old and he is so excited to go camping plus he is starting to really enjoy playing traditional turn-taking games. 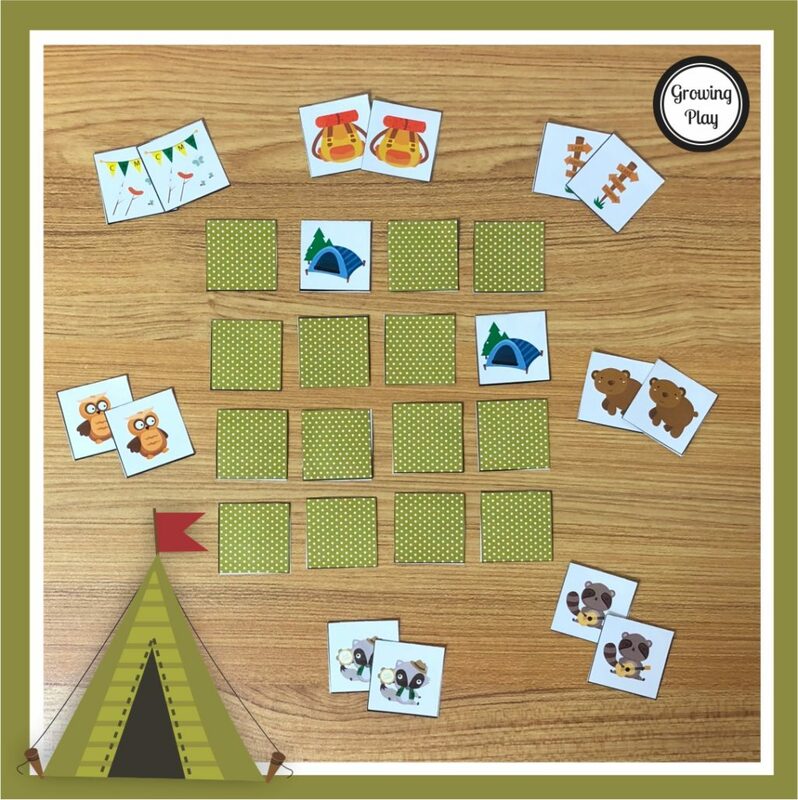 I created this camping memory game for us to play the traditional card game while we wait for the first camping trip. 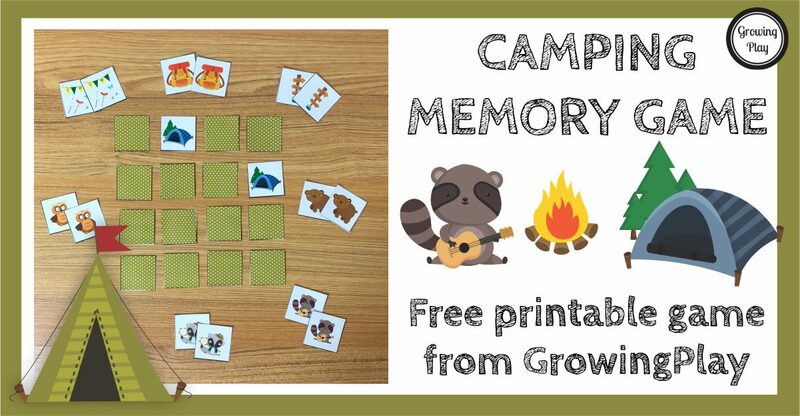 You can download the free camping memory game to print and play at the end of the post. Download and print two copies of the game on cardstock paper. Cut apart 15 cards on each page. One card is the polka dot square (backside of the playing card) and the camping picture. Do not cut those in two. Take each playing card and fold in half so that the polka dot square is on one side (back side) and the camping picture is the other side of the card. Use a glue stick to glue the sides of the cards together. You should have 30 mini cards when completed. Mix up the mini cards. Place all the camping pictures down and the polka dot sides up. Player one chooses two cards. If they do not match, turn the two cards back over and it is the next player’s turn. If they match, keep the two cards and take another turn. Continue to play until all the matches have been found. The player with the most matches is the winner! When done, stack the cards up and secure with a rubber band or put in a small baggie or box. Sign up to receive the Growing Play weekly email newsletter and other announcements. 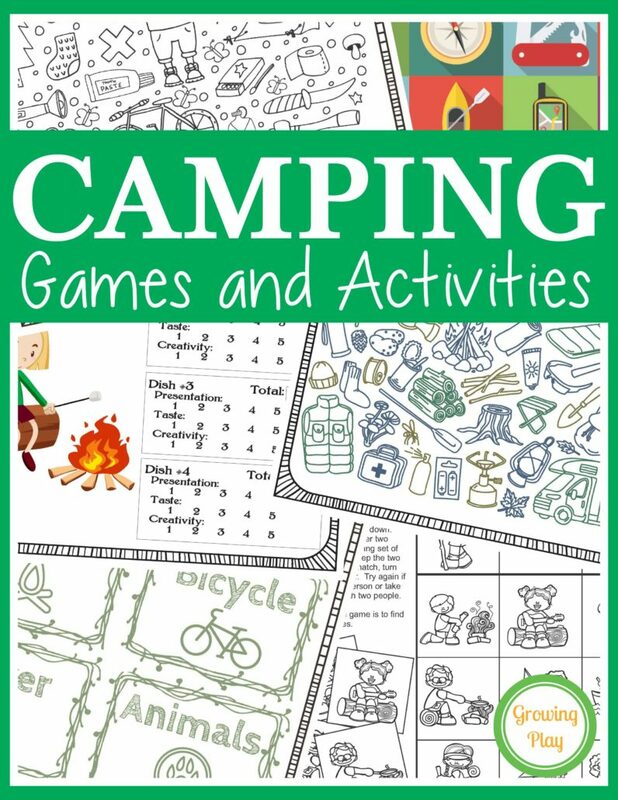 You will get access to the FREE download for the camping memory game. If you are already a subscriber, enter your email and you will receive the freebie too!